Have you got a big occasion coming up or are you thinking about throwing a party for a loved one to celebrate a significant milestone; an anniversary, a birthday, a Christening or even a wedding? Stuck for time or stuck for just the right idea to mark the occasion.....contact Timesavers Concierge to find out how we can help. We have lots of ideas and lots of contact to suit all budgets, from a champagne tea party at home, to full a blown ceilidh! Maybe you'd like to arrange a summer picnic or maybe put on an "open air cinema evening", give us a call and we can discuss the options. We can source all the things that make celebrations so special: the venue, the entertainment, the food and drink, the music, the flowers and we can even shop for the all important gift if you don't have the time! 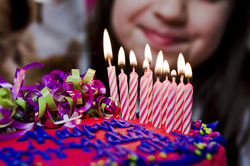 Timesavers can also arrange parties for littlies through to Teens. We can take the strain and arrange everything either in your own home or at a venue, we'll find the entertainers, fill the party bags and even send the invitations. There are scores of wonderful party venues throughout Worcestershire offering amazing experiences, so let us do the research, we can price the options and then take the strain on the day so that you can have a wonderful party too! Get in touch to find just the right timesaving help for you.